The major manufacturers update their flagship devices every year, and parts makers are no different. Processors get updated, displays, and even the glass that covers the display. CES looks like the time when Corning is planning to let everyone know each year why you should be excited about the new Gorilla Glass. 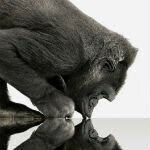 Last year, Corning unveiled Gorilla Glass 2 at CES, and this year it's time for Gorilla Glass 3. With Gorilla Glass 2 the plan was to make it thinner, but keep the same strength. This year, the plan with Gorilla Glass 3 is to offer more toughness. Corning is claiming that Gorilla Glass 3 will be three times more scratch resistance, and offer a 40% reduction in the number of visible scratches, and a 50% boost in retained strength after the glass becomes flawed. You may notice that none of those improvements will really help as far as impact resistance, so it won't help much for drops, but at the least you can feel safer when your phone is in your pocket or in a bag with other items. We're hoping CES 2014 will show Gorilla Glass 4 that can actually take a drop by being a flexible display, but we'll have to wait and see on that. CORNING, N.Y. - Corning Incorporated (NYSE: GLW) today announced its plans for the International Consumer Electronics Show (CES) in Las Vegas next week. The Corning booth, #14813 Central Hall, will highlight the company's newest specialty glass solutions and their benefits for today's consumer electronics device trends. Corning plans to introduce two new products at CES 2013: Corning® Gorilla® Glass 3, a new glass composition with durability enhancements; and Optical Cables by Corning, fiber-based, device-to-device connectivity solutions that significantly extend the data transmission range past the limits of copper-based cables. Full product details will be included in announcements planned for Monday, Jan. 7. GG2 was still very soft but with added flexural strength. I also found it very soft and easily scratched. Maybe GG3 will be 3rd time lucky? I wish they would also work on making the glass less reflective and more resistant to fingerprints. I think that also has to do with some things specific manufactures do or different types of LCD and Amoled screens. The Rezound was so reflective is was like looking in a mirror. My RAZR amd Maxx HD werent as reflective. My Droid X1 wasnt as reflective, Droid 1 too. I think HTC tried something different. It didnt work IMO. I wonder what happened to Asahi Glass? I have had zero problems with rev. 1 or 2 honestly. I've sat on my phone several times, most times I've just left in pocket until I get up. I've dropped it half a dozen times, though it has shell around corners. I carry half the time in pocket with keys and change. No scratches or nicks anywhere. Shiny as day 1 and without any screen protection. I'm happy to see improvements to an already unflawed product. Flexible display 2014 sounds good to me. I doubt... Probably we only have something consistent in october or november. It seems to be a Motorola Nexus. If it isn't a Nexus, i think it will be released between June and August. if it doesnt help when u drop it on the ground then what good is it really? So when are they using it ? my xperia p doesn't use this GG but still good enough..